Today I tried to map the design experiment findings from Hybrid narrative ecology on top of the foraging behavior in swarms. Every time when individual starts some narratives it leaves a trace and focuses his own attention on certain features. This makes him accumulate more similar narratives until he becomes aware of the story. So, web 2.0 stories are granular and appear even for the individual as a result of accumulating some idea traces, which works as an environmental feedback to notice more similar traces. The more the narratives are accumulated, the more attractive and visible the story as a trace becomes, this attracts other individuals as well. The attention is caught by various trace-leaving techniques like mashing, pulling and aggregating, tagging for social retrieval, social awareness technologies, hybrid maps etc. Picking up traces of other individuals of the swarm depends on analogy or closeness of the attractors narratives to your own. Is it a species specific? And the species is defined by similar culture, using same kind of retrieval, mashing, pulling etc? Various collaboration forms may appear. One is agglomerating stories similarly like termites build the nest. The traces (pheromones) are glued to the soil material (the content of the narrative pierces, text, images). This is kind of swarm-like co-working without initially decided goal, but still co-working emerges (eg. dedicating narrative pierces for the story). Cloning narrative pierces may also make the trace of the narrative more visible, similarly like pheromone traces are agglomerated due to the swarm activity. Thus cloning will hype up some stories. Actually this story is not something that has start and end, but it is like the current or dimension that emerges when swarm collects narrative pierces individually. The story currents may remain individual stories, or may attract more storytellers. Individuals tend to mutate their narratives. Most often these are errors, which always happen if we try to tell the same narrative. Interpretation happens most often if narrative is transformed from one environment to another, from one individual to another. This presumes translation from one system to another without complete coding correlation. This may in the end change the attractor to the certain story so much that the story trace will be lost and individuals need to start the search for new narrative resources as new attractors. Some mutations may also cause the appearance of new attractors that allure the swarm away from the story. Many (that i refer below) have already assumed that learning through developing and discussing narratives in social web spaces has become a new innovative form of learning. We have developed and tested the course Hybrid ecosystem of narratives in Tallinn University as one approach to understand how narratives appear in hybrid (real + virtual + social) Web 2.0 space. When we started this course we had no answer to the students’ questions about “what is this space that we (me and Anatole-Pierre Fuksas) have named the hybrid ecosystem of narratives. How it emerges, and how it develops through the interplay of various interactions, was to be investigated through the participatory design with these same students. 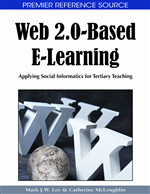 In the end of 2008 Bryan Alexander and Alan Levine summarized in the whitepaper: Web 2.0 storytelling: emergence of the new genre – web 2.0 storytelling in education serves as composition platform and as curricular object. First, Web 2.0 storytelling is a useful composition platform whenever storytelling is appropriate. The second possible application for Web 2.0 storytelling in higher education is its use as curricular object. They encouraged educators as follows: the best approach for educators is simply to give Web 2.0 storytelling a try and see what happens. We invite you to jump down the rabbit hole. I refer only one interesting aspect what they mention about what web 2.0 storytelling: It is a distributed art form that can range beyond the immediate control of a creator. 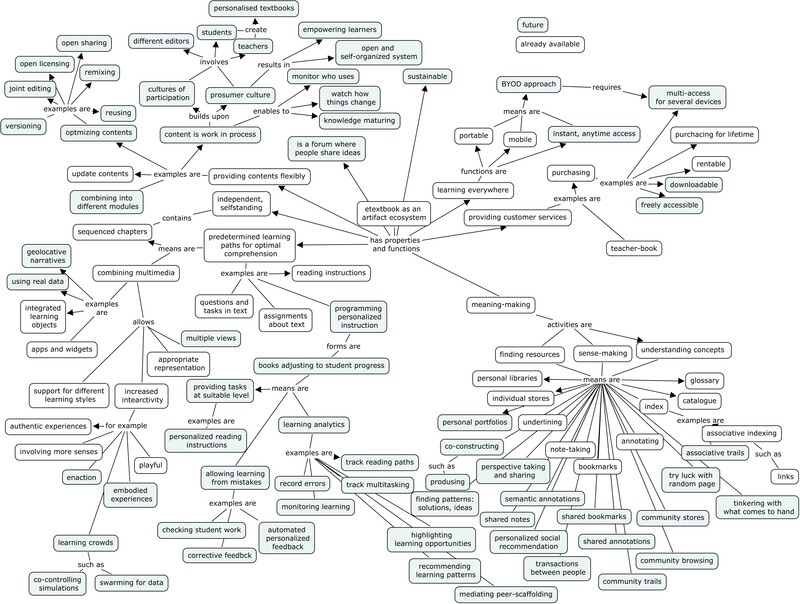 So it is clear that the web 2.0 narrative courses are emergent and cannot be precisely planned using some clear design what people should do (because then we will violate the nature of the system itself). The courses must follow certain participatory and design-based approaches to capture what is true. 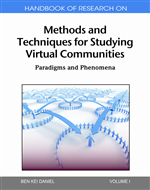 – new ways to access and organize learning (applying community models for courses, organizations, linking communities to learning and education in new ways). The report mentions Bruner’s (1996) cultural­phychological approach to education that emphasises narratives as vehicles for meaning making. He suggests that education should help those growing up in a culture find an identity within that culture, in order to be able to make meaning. Narratives are essential in constructing an identity and finding a place in one’s culture. Narratives are a powerful way of learning, providing means to situated oneself in the culture and make meaning. Bruner, J.S. (1996). The culture of education. Harward Univesity Press. Cambridge, Massachusetts. 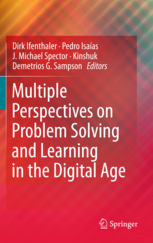 The report refers to Mayer (2003) who found that conversational narratives combined with animations contributed to a personalization effect, where the students developed significantly more creative solutions than through conventional instruction and explanations. Secondly, Carbonaro et al. (2008) showed that multimedia storytelling allowed students to engage in learning by design. Mayer, R. (2003). The promise of multimedia learning: using the same instructional design methods across different media. Learning and Instruction, 13, 125- 139. 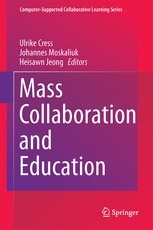 Carbonaro, M., Cutumisu, M., Duff, H., Gillis, S., Onuczko, C., Siegel, J., Scheffer, J., Schumacher, A., Szafron, D & Waugh, K. (2008). Interactive story authoring: a viable form of creative expression for the classroom. Computers and Education, 15, 687-707. The study points out that narratives serve as the mediators for externalizing tacit knowledge without writer’s full consciousness. Anyway, the boom of various narrative centred learning environments is evident and there is not enough information how people naturally use such environments. I believe that if there is narrative ecosystem, there must exist something (narratives itself) that the communities will use as a feedback from these ecologies to adjust themselves to their ecosystem parametres. How narratives function in the ecosystem as the ecosystem feedback and can the community have some analysis means to enhance this feedback within ecosystem? After analyzing the course data I would say that storytelling has become part of our new way of sensing in hybrid environments. Storytelling is a new form of hybrid sensing. Web 2.0 storytellers are extending themselves beyond their body borders and using this extended self as the tool. The hybrid stories enable to be more adjusted with the real and virtual hybridized surroundings, extracting dimensions for personal activity and emotions within which they can operate. People are constantly embodying themselves, entangling and detangling themselves to the hybrid systems, while enacting with it. And at certain moments collaboration appears over the narratives binding persons in the ecosystem, forming certain food-chains, consumerism and other nice ecological phenomena that needs to be brought to light in new systems. You are currently browsing the Taming the spaces blog archives for April, 2009.